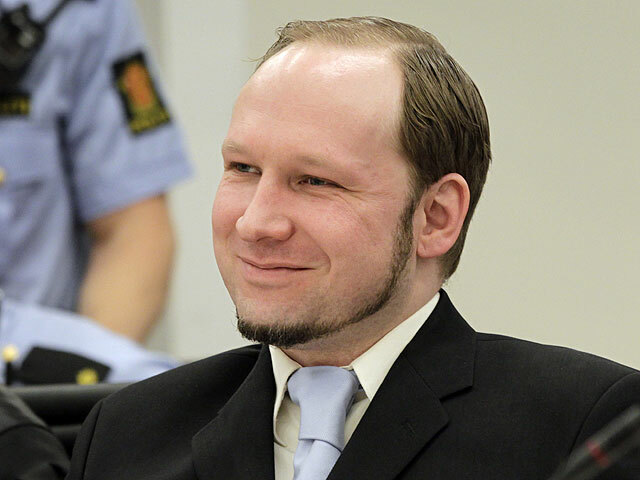 (AP) OSLO, Norway - Those expecting Anders Behring Breivik to spend the rest of his days alone in a cramped cell will be disappointed when the far-right fanatic receives his sentence Friday for killing 77 people in a bomb and gun rampage last year. Could Norway rampage suspect go to posh prison? Officials at Oslo's Ila Prison say the ambition would be to eventually transfer Breivik to a section with other prisoners, who have access to a school that teaches from primary grades through university-level courses, a library, a gym, work in the prison's various shops and other leisure activities. It's all about a philosophy of humane prison treatment and rehabilitation that forms the bedrock of the Scandinavian penal system. "I like to put it this way: He's a human being. He has human rights. This is about creating a humane prison regime," said Ellen Bjercke, a spokeswoman for Ila Prison. Dealing with an unrepentant killer responsible for Norway's worst massacre since World War II puts the system to, perhaps, its most challenging test yet. During his trial, Breivik, 33, coolly described how he set off a car bomb that killed eight people and injured scores in Oslo's government district on July 22 last year. Then he unleashed a shooting rampage that left 69 people dead, mostly teenagers, at the summer camp of the governing Labor Party's youth wing. The youngest victim was 14. Since Breivik's guilt is not in question, the key decision for the Oslo district court Friday is whether to declare him insane after two psychiatric teams reached opposite conclusions on his mental health. Its ruling will be read in a courtroom custom-built for Breivik's trial at a cost of 40 million kroner ($6.8 million). A glass partition separates Breivik from relatives of victims attending the hearing. Remote-controlled cameras capture the proceedings, and a video feed is distributed to court rooms around Norway, where other relatives can watch it live. Prison officials say the special measures for Breivik are justified because he presents a security risk that Norway's prison and justice systems previously didn't have the infrastructure to deal with. "To do that for just one person, when there are other things in Norway that need to be taken care of, like elderly care and roads and such things -- the money could have been spent on other things," said Thomas Indreboe, who was removed as a lay judge in the case when it emerged that he had advocated on the Internet for Breivik to be executed. In Europe only Belarus still applies the death penalty, according to Amnesty International. Indreboe stood by his assertion that capital punishment would make sense in Breivik's case and save "taxpayers from unnecessary expenditures." "We wouldn't be Norway," he said. "We have a general need to offer humane conditions in our welfare state, and the prison is part of the welfare state." Ila Prison has prepared itself for every possible outcome Friday. A psychiatric ward was built just in case he is declared criminally insane. It cost between 2 million and 3 million kroner ($340,000-$510,000), according to Norway's Health Ministry. That's not extraordinary in Norway. Anne Kristine Bergem, the chief physician of the regional psychiatric center for dangerous and violent patients, said the average annual cost of care on her ward was nearly 6 million kroner per patient. If found to be mentally fit, Breivik would face a sentence of "preventive detention." Unlike a regular prison sentence -- which can be no longer than 21 years in Norway -- that confinement option can be extended for as long as an inmate is considered dangerous to society. It also offers more programs and therapy than an ordinary prison sentence. Prison director Knut Bjarkeid wouldn't comment on any special security measures taken to make sure Breivik doesn't escape. He said someone last escaped from the prison, which doesn't have armed guards, in 2004, but was caught within minutes. Whatever the outcome, Breivik has already proved to be so dangerous that legal experts say he is not likely to walk free until he's an old man, if at all. That's more important than the conditions under which he's held, said Christin Bjelland, deputy head of a national support group for victims' families and survivors.